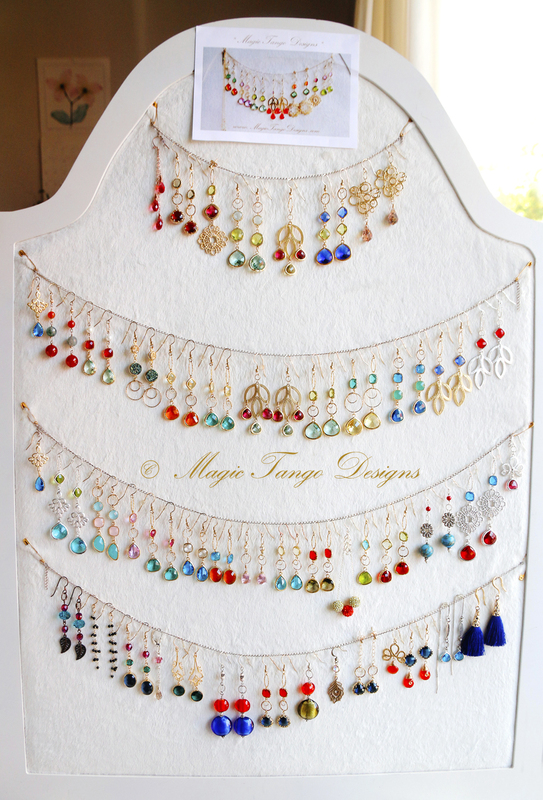 ​If you are a client of Magic Tango Designs, it would be wonderful to have your picture in this ​GALLERY :). To schedule an appointment and take a look at the Magic Tango Designs you can contact me through the website, by 604-780-7835 or by email. These are some of the items in the current stock and more are available ON ORDER. If you like a particular design in a certain color variation, feel free to contact me and describe what you want :). I have a few different types of elements for the QUEEN OF THE NIGHT Collection. ​You can see examples on the display.